Featuring decor inspired by rock and roll culture, Hard Rock Hotel Singapore is within Resorts World Sentosa, home to Universal Studios. It offers an outdoor pool and a 24-hour fitness center. Resorts World Sentosa - Hard Rock Hotel is a 5 minute drive from Vivocity Shopping Mall and a 10 minute drive from Singapore's central business district. Changi International Airport is a 25 minute drive away. Rooms at Hard Rock feature state-of-the-art entertainment systems and a minibar. Private bathrooms are designed like a backstage walk-in closet, and offers showers. Wi-Fi access is available. Rang Mahal Pavilion serves Indian favorites, while Starz Restaurant offers international lunch and dinner buffet. For a poolside bar experience, the Rock Pool Bar features various refreshing drinks. Snacks and drinks, along with music entertainment, can be enjoyed at The Rock Bar. Guests can work at the business center. Exclusive Hard Rock Hotel Singapore souvenirs can be bought at The Rock Shop. 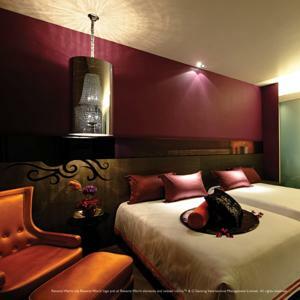 Rooms: Hotel Rooms: 364, Hotel Chain: Resorts World Sentosa, Hard Rock. Wired internet is available in all areas and costs SGD 32.10 per 24 hours. Free! One child under 12 years stays free of charge when using existing beds. Free! One child under 2 years stays free of charge in a baby beds. 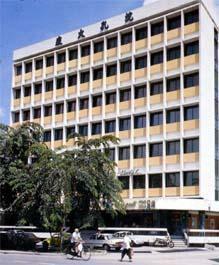 One older child or adult is charged SGD 60 per person per night in an extra bed. The maximum number of extra beds/baby beds in a room is 1. Any type of extra bed or crib is upon request and needs to be confirmed by management. Supplements are not calculated automatically in the total costs and will have to be paid for separately when checking out.